Hungary, Budapest – As every October 23, Hungary celebrates its fight against sovietism and for its freedom. A national holiday with a particularly political connotation. 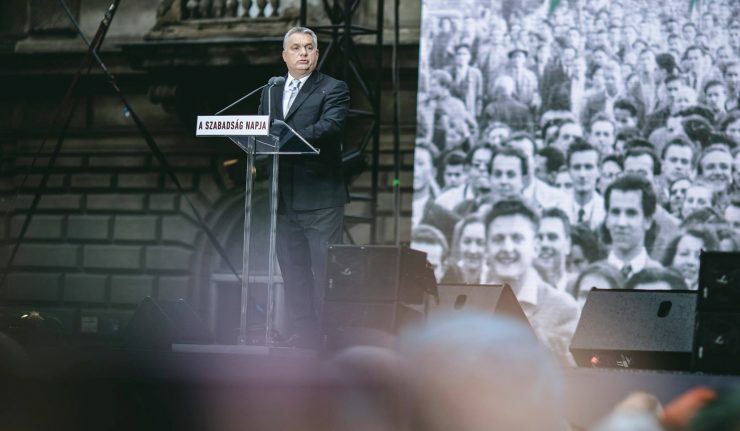 On this occasion, Viktor Orbán made strong statements such as Hungary’s identity is threatened again, this time by globalism and financial speculators. Viktor Orbán then warned the audience of the danger that Hungary is facing. And the strong man of Budapest did not mention migrants as the main threat; but the source, among others, of this “migratory invasion”. “We wanted to believe that we would never have to deal with political, economic and intellectual forces that would cut us off from our national roots. We also wanted to believe that in Europe, terror and violence no longer have a place. It was not the case,” said Viktor Orbán in front of a crowd of sympathizers, present in numbers despite the heavy rain. “Instead of recognizing this, campaigns of vengeance were launched against those who drew attention to the dangers of spiritual decay and nihilism. Uncompromising have been labeled those for whom Europe needs defensible physical outer borders. Racists have been called those for whom immigration is a danger to our culture. Those who spoke in defense of Christendom were accused of discrimination. Homophobic have been labelled those standing up for the defense of the family. Nazi have been called those for whom Europe is the alliance of nations. Then, the Hungarian Prime Minister clearly designated those responsible for threatening the culture and the people of Hungary. “It is in the wake of globalization that financial empires have risen, they have no borders, but they have world media, and they have tens of thousands of people bought for their cause. They have no concrete frameworks, but have extensive networks – they are fast, strong, and brutal. This empire of financial speculation has taken Brussels as a hostage, as well as a number of Member States,” continued Viktor Orbán, referring, among other things, to his great declared enemy, the globalist speculator and financier George Soros. You are a sane voice in an insane world ! God help Hungarians and the rest of Central European nations to stand up to globalists and invaders!